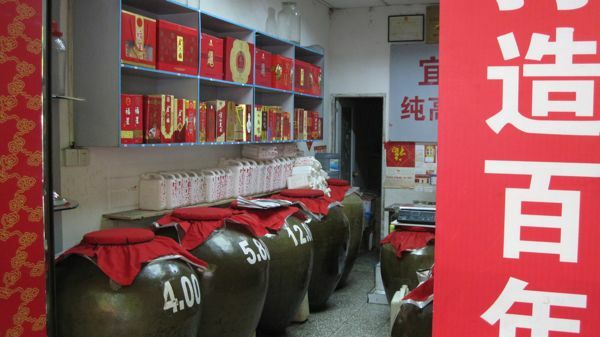 Typical rice wine ‘liquor store’ in Chongqing. Despite 2000 years of struggle to unify the country’s various peoples — from Emperor Qin’s forming of the Dynastic period to Mao’s forcing of the Cultural Revolution — there still is great division on one of the most important topics — wine. Ordering a glass of wine in this country is akin to Russian roulette with a .45 pointed at your taste buds. Depending on what region you are visiting and the ethnicity of the server you are ordering from you might get variations from a clear moonshine-like liquor to a cloyingly sweet grape-based wine beverage. It took us a while to straighten out exactly what we’d get when ordering. 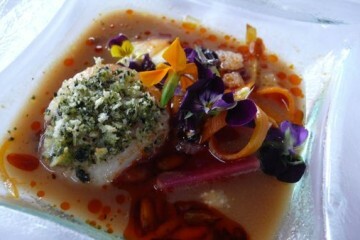 In most tourist-frequented restaurants the menu breaks down the wines into ‘rice’, ‘dry’ and ‘sweet’ and even ‘liquor’. We assumed that dry and sweet were referring to grape-based wines. The Chinese have had a sweet tooth with grape wines — lumping the grape in with other fruit wines and producing them in a similar style. Only in the last two decades have more western-style dry wines entered the market en mass with plantings of cabernet, merlot, and syrah produced with the help of foreign winemakers. 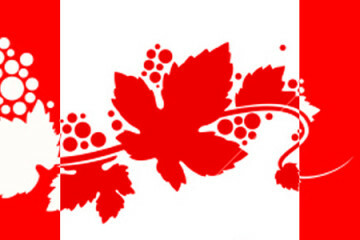 Its now poised to be the largest market for ‘wine’ in the world – but that’s another post. BaiJiu is a distilled alcoholic Chinese beverage normally derived from rice or wheat (in the north and west) and corn (in the south and east) and reaches alcohol by volume levels of 40 to 60 percent. 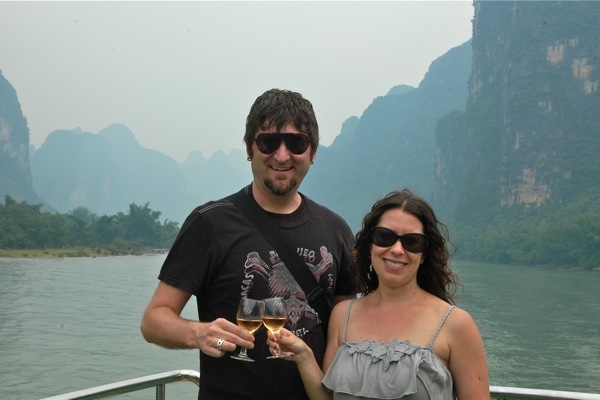 The direct translation of BaiJiu into English is “white wine” — one reason you’ll be surprised if you order a white wine spritzer in Guilin. 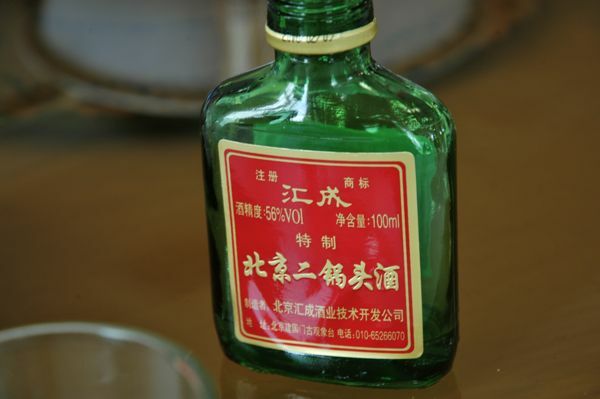 BaiJiu is more akin to vodka, moonshine, or paint thinner and will burn all the way down, hence the common name, shaojiu (burned liquor). It is considered the national drink of China and will inevitably show up on your dinner table to toast with new friends. BaiJui distilled brown rice wine ‘liquor’ in a ceramic bottle purchased at a Yichang convenience store for US $2.25. 120 proof BaiJui – great for cleaning open wounds or greasy car parts and not so much for drinking straight. 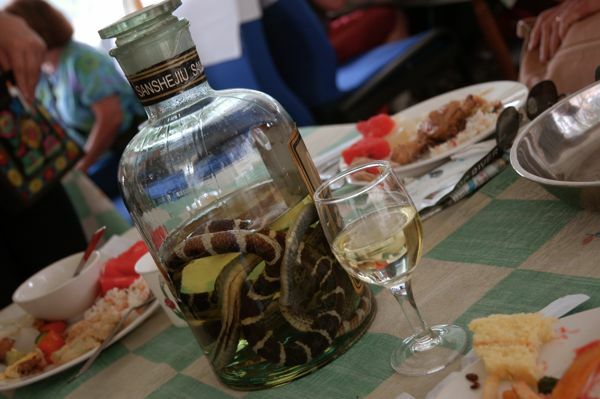 BaiJui is often used as the base for more adventurous medicinal cocktails, such as this poisonous snake wine for male virility. 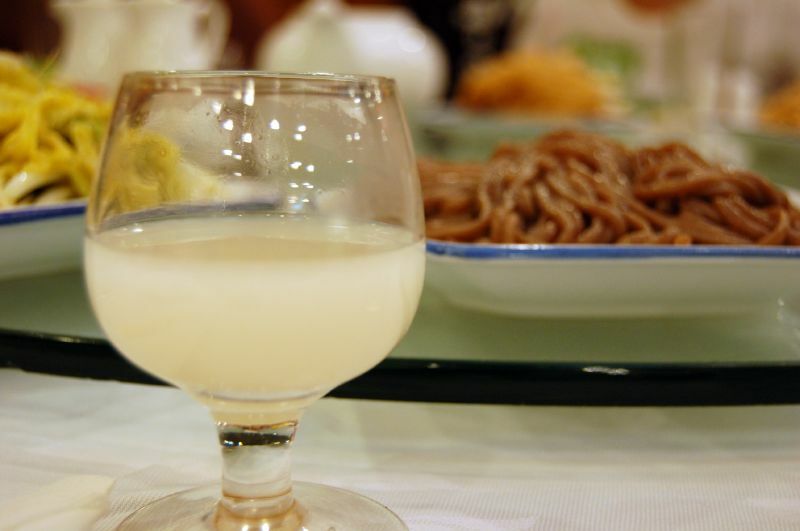 HuangJui is a fermented rice wine with lower alcohol and smoother flavors. 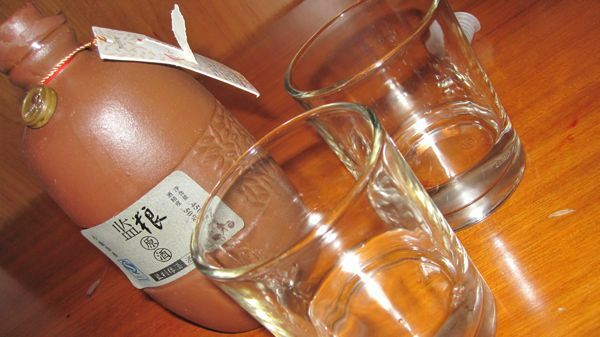 ChouJiu is a version of HuangJiu that is an unfiltered rice wine similar to a Japanese nigori-style wine. It gained popularity in the Tang Dynasty (known to be a time of prosperity with a great emphasis on leisure-time activities, food and wine) with its capitol in today’s Xi’an. 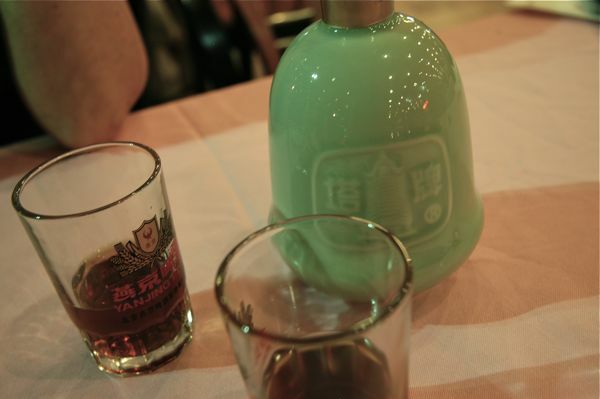 Many of the wines, especially ChouJiu, were heated in three-legged wine vessels called Jia and, true to form, it is typically served warm today in the local restaurants. It has an earthy, salty, and slightly sweet taste.